Urinary Tract Infections are quite common in small kids. Now, you must be wondering if there is a high chance of your kid catching this infection. Well, yes, kids do tend to catch this infection more often, compared to grownups. UTI’s affect children of all age groups but below two years this infection may cause complications as well. Of course, the chances of catching this infection go up if it’s a girl child and she needs special attention in cleaning her private parts. The urinary tract infections can generally be cured easily. Sometimes, you may see recurrent development of infection in your child’s urinary tract. A urinary tract infection may involve the infection either in the bladder or in the kidney. In this post, you would come across some deep insights to the symptoms, causes and remedies of Urinary Tract Infections in your child. Urinary Tract infections are often caused by bacteria and rarely by a fungus or a virus. As per medical author, John Mersch (MD, PhD in experimental pathology from University of California), the symptoms of Urinary tract infection are specific. UTI can give your child severe to mild pain in the Urinary tract or around that area. Your child can also experience frequent urges to urinate which means that your kid will urinate often and will also lose control on holding his urine. Kids will often wet the bed and may develop abdominal pains too. Sometimes, UTI’s lead to fever and it may go up to 102 degree Fahrenheit. The urine has a specific bad odor and color in UTI and causes a matter of concern. In very rare cases, you may find blood in the urine and that should be taken as urgency to visit the doctor. How is the UTI diagnosed? The diagnosis of UTI is fairly easy. A normal detailed diagnosis would involve the testing of your child’s urine and looking for that specific bacteria that led to infection. The physical symptoms involve increased BP, increased pulse rate, pain in the abdomen, enlargement of abdomen, enlarged kidney which could be checked by pressing the lower abdominal area, tenderness in lower abdomen and fever. How long does it take to get cured? Your child’s pediatrician will prescribe you with a course of mild antibiotics to get rid of this infection. Once cured, which may take up to three to five days, it is gone and generally does not recur immediately. However, if there is a recurrence of UTI then it only goes on to show certain functional or structural abnormalities that may be present in your child. You may then have to report this to your child’s doctor at the earliest and the doctor may ask you to get some scanning done. No, UTI’s are not contagious, and does not spread from one child to another, while playing or sharing the bed or sharing the bath at all. However, care should be taken to maintain the proper hygiene of your child by washing his private area. Are there any home remedies for UTI? Yes, of course there are some home remedies that you could try out at home. Wash off the affected area well with water and the final wash should be with a mug of water containing one tea spoon of vinegar in it. It will alter the pH of urinary tract and will make it difficult for the bacteria to stay inside. Drinking lot of water will help to flush out the bacteria due to frequent urination. The water intake should be more than double of the normal water intake every day. 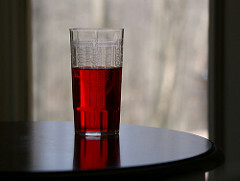 Cranberry or Blueberry juice without sugar often leads to removal of the infection causing non adherence of the bacteria on to the walls of urinary bladder. One of the Nature’s best gift, pineapple helps in reducing inflammation and hence can help in getting cured of this infection soon. Yoghurt helps in diluting the symptoms very quickly. It is beneficial during UTI but how it actually works has not yet been fully explored. So, this was a detailed insight on UTI and the related information. They say prevention is better than cure but in many cases good prevention measures are not enough. UTI’s, though a common feature in kids, can be handled easily.